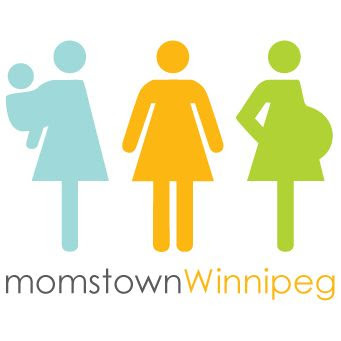 momstown Winnipeg: How to make Oobleck! Believe it or not, there are some science activites that can be found using Dr. Seuss Books. The book "Bartholomew and the Oobleck" is a good example of learning about comparing solids. 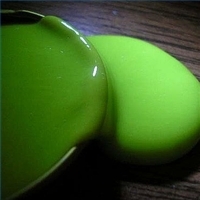 The Oobleck acts like both a solid and a liquid. 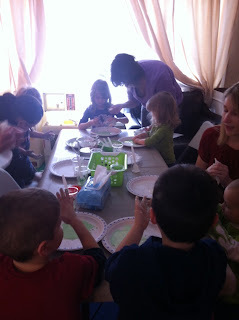 For our momstown's Little Scientist's program we got messy and made oobleck! 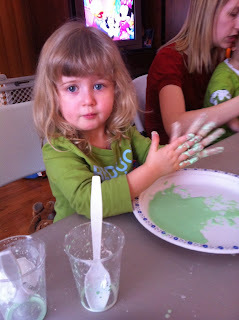 For this experiment, you'll need to make some Oobleck. Mix ingredients together in a medium sized bowl. (Add water slowly as it may not need entire cup!). Mix the ingredients and allow children to play with the mixture. When"pushed" together, the mixture will appear dry and solid; as children let go of the mixture, it flows like a smooth liquid. It's a really fun recipe to use as a science experiment. Is it a solid? Is it a liquid? It's a liquid until pressure is applied. 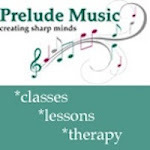 Hit it hard and it feels like you are hitting a wall! 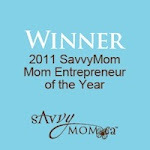 Touch it gently and the material will flow around your fingers like water! Have fun using different utensils to play- see what form it takes while using different cups, spoons, bowls, etc. Using what they have learned, your kids can decide if it is a solid or a liquid. ~ Oobleck is a solid and a liquid at the same time. ~ If you make a ball and throw it up in the air, it loses shape and becomes flat in the air. 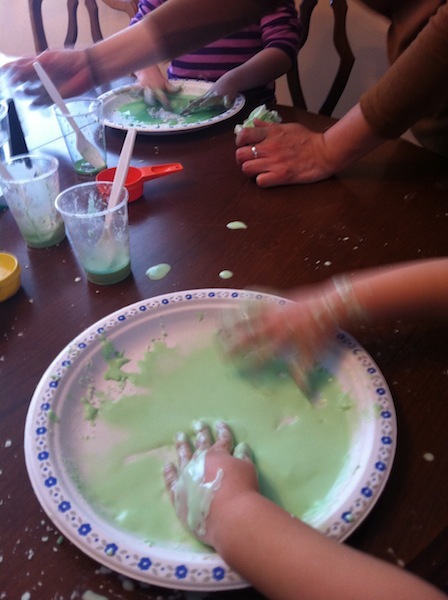 ~ Oobleck can be molded in a container and when taken out does not keep shape. 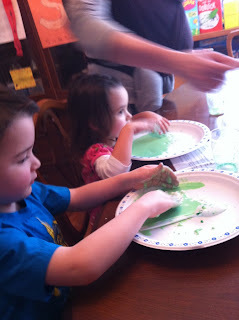 ~ If you fill a balloon with Oobleck, the air presses or forces the Oobleck back out. ~ When you leave Oobleck in the sun, the color evaporates, it turns hard like cement on the top and like jelly on the bottom. When heated this also happens and it is sticky. ~ Oobleck does not bounce.